Providing care to an aging loved one is a difficult task, especially when the person you are caring for is your brother or sister. Many people end up caring for an uncooperative senior sibling who insists he or she does not need assistance despite obvious impairments. Here are a few ways you can provide the best possible care to your aging brother or sister even if he or she isn’t cooperating. Sibling relationships are often filled with a history of tension and disagreements. When discussing caregiving with your sibling, it is important to avoid bringing up those issues. Focusing on the present instead of reminding your brother or sister of old resentments can help you avoid getting sidetracked during conversations and focusing on past disagreements. Caring for a senior loved one can be challenging for families who don’t have expertise or professional training in home care, but this challenge doesn’t have to be faced alone. Family caregivers can turn to Portland Home Care Assistance for the help they need. We provide high-quality live-in and respite care as well as comprehensive Alzheimer’s, dementia, stroke, and Parkinson’s care. 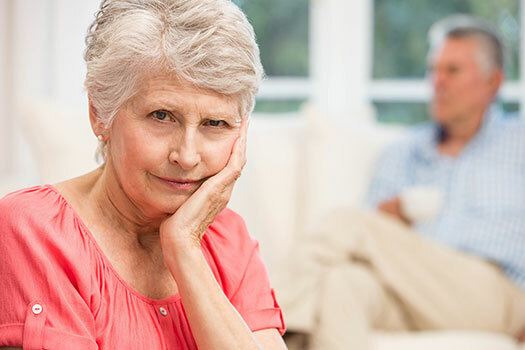 Many seniors are embarrassed to have their siblings involved in their care, so you might find your brother or sister becoming particularly difficult when you get involved in activities like bathing. It can be helpful to hire a caregiver who can come in for at least a few hours each week to do these tasks. Many people feel more comfortable with a professional helping them bathe or go to the restroom. If your sibling does not want to cooperate, he or she may withhold important information from you or keep you from getting involved in his or her affairs. Petitioning the court for guardianship of your sibling can be a difficult and time-consuming process, but it’ll be worth it if your sibling cannot take care of him or herself and still refuses to cooperate with you. If your sibling is mentally healthy, it is a good idea to have some frank conversations about his or her current state of health. Try to learn more about your sibling’s wishes so you can better help him or her. Be open about the negative consequences of avoiding proper care. In these conversations, make sure to let your sibling know you only want the best for him or her. Being completely clear about your sibling’s needs and your own plans may make the situation easier for both of you. Caring for an uncooperative sibling could make you feel stressed and frustrated. These negative emotions are perfectly natural, so you shouldn’t feel too guilty. Whenever possible, take time off from caregiving to tend to your own needs. You can be a better caregiver for your sibling when you are not overwhelmed by your difficult situation. Hiring a professional caregiver is one of the best ways to ensure your elderly loved one receives the highest quality care at home. Find out how a Portland, Maine, caregiver can help your senior loved one enjoy a higher quality of life by reaching out to Home Care Assistance. All of our professional respite and live-in caregivers are trained in comprehensive Alzheimer’s, dementia, Parkinson’s, and stroke care, and they can also assist seniors with basic daily tasks like exercise, cooking, bathing, and light housekeeping. To learn about our high-quality in-home care plans, give us a call at (207) 835-4849 today.